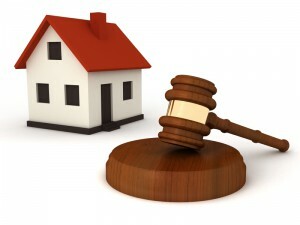 The extortionate number of tenants who are being evicted by their landlords is recorded to be at an all-time high according to the latest found figures courtesy of the Ministry of Justice. Experts insist on blaming the rise in the number of repossessions on benefit cuts and the ever-growing trend of “revenge evictions”. It is said that more than 11,000 tenants have been evicted in the space of just three months between both June and September 2014. This is an 11% increase on the previous quarter and known as the highest since records were created back in the year 2000. During the year leading up to September 2014, it is apparent that more than 40,000 households had been evicted which is also a rise of around 11.7% in comparison to the 12 months previous. A tenancy officer in Lewisham, London, named Ben Reeve-Lewis mentioned that in areas of London and Southern England the really expensive benefit caps have proceeded to leave tenants severely out of pocket resulting in them being unable to afford essential things such as rent. Therefore this has caused landlords to pursue the route of eviction through the courts. These figures follow suit of reports that Britain’s largest portfolio landlords, including controversial Fergus Wilson are insisting on evicting tenants purely because they claim benefits. Revenge evictions are also seen to been on an increase. Revenge evictions means the occupants of the property are handed a notice after they have made a request to the landlord for general maintenance or a repair on their property. Over 200,000 people are recorded to have been targeted with this tactic during 2013, according to data collected by the housing charity, Shelter. Property manager at lobby group Generation Rent, Seb Klier stated that current figures had been a “chilling” sign of a possible house crisis on the horizon. Campbell Robb, the chief executive of Shelter said that he found it extremely “heart-breaking to hear that so many people have lost the battle to keep a roof over their heads” and he continued to report that the charity was indeed struggling to keep the demand up for the services provided.